Anywho, Takahashi2Oki and I had a little art trade; HE drew a lovely illustration of my version of the Mad Hatter for me and in return I was supposed to draw a Harajuku girl. WOW! this drawing is fracking awesome! I love the way this came out conceptually. I really like the lips and goggles, and how she is glancing over her shoulder. It has a great feel to it and is mostly how I imagined it. I'll definately fave it. Very nice! 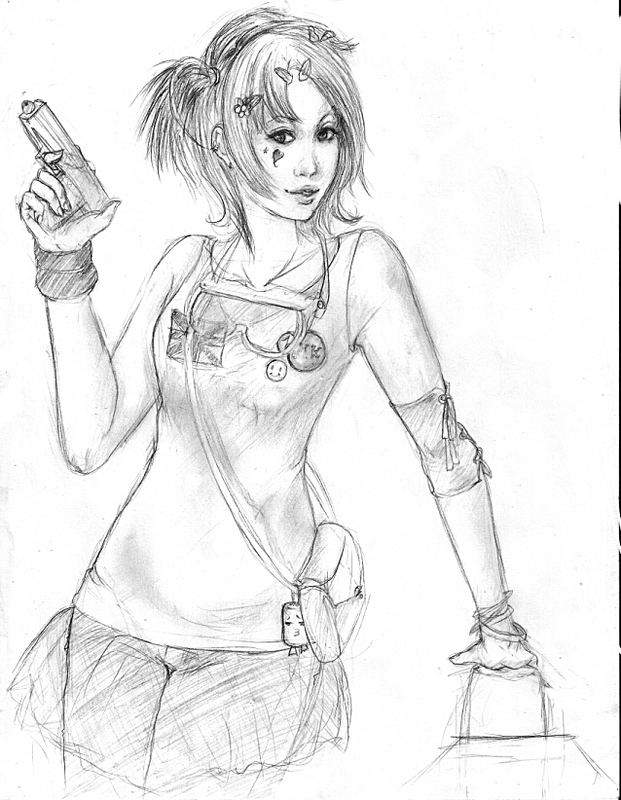 :D If that´s a gun in her hand though, it needs some work.